Korean Bingsu seems to be the latest craze in town with almost daily posting of this towering snowflake dessert from various bingsu places over the island. It so happened that I was in the vicinity of NunSongYee at Serangoon Garden and I popped by to check out what the craze is all about. 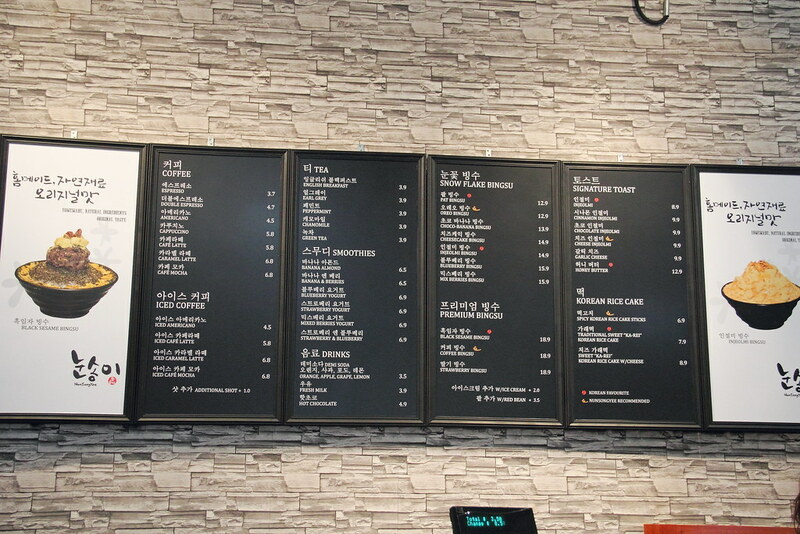 There was like nine different of varieties of the Korean snowflake ice selections on the menu. 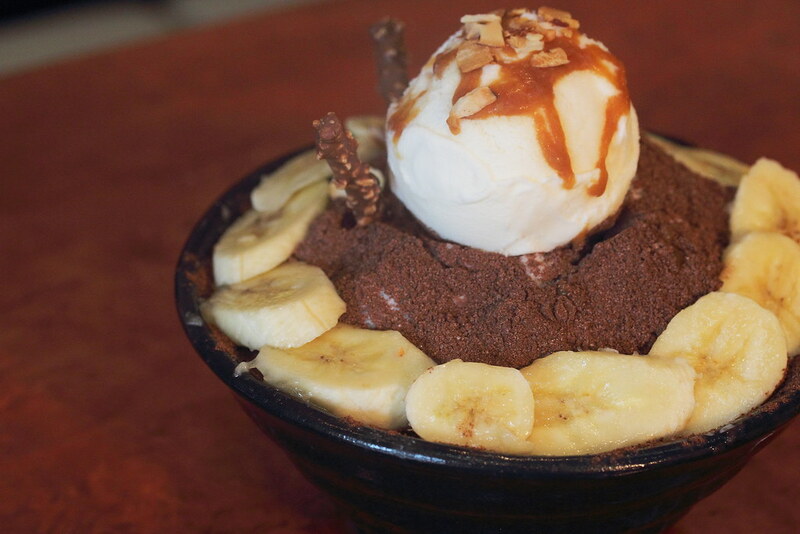 I did have a hard time deciding which to go for but eventually settled on the Choco-Banana Bingsu ($13.90). The servicing is actually huge and is good for sharing. 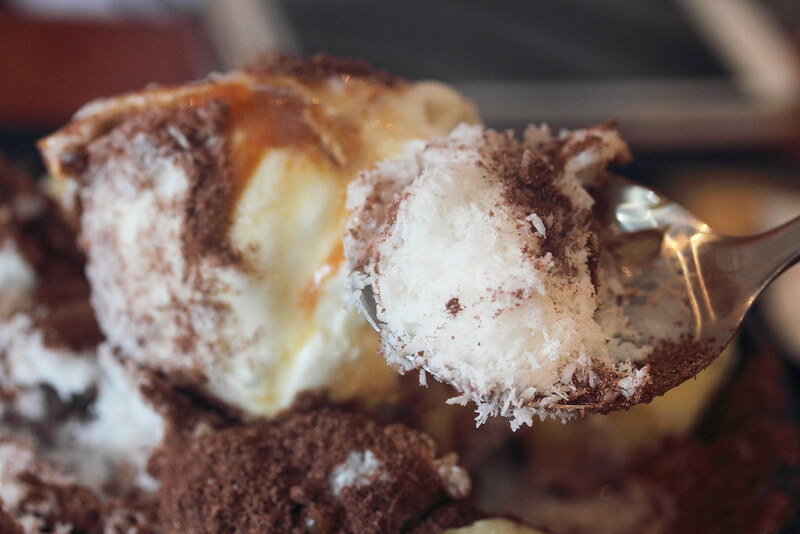 As you see from the photo, the shaved ice has a very soft texture, so light and soft as snowflake. Infused with milk, it gave the ice a creamy sweet texture. Unintentional I discovered another way to enjoy the bingsu. When the snowflake ice, infused with milk melted and mixed with the coco powder, it becomes milo! 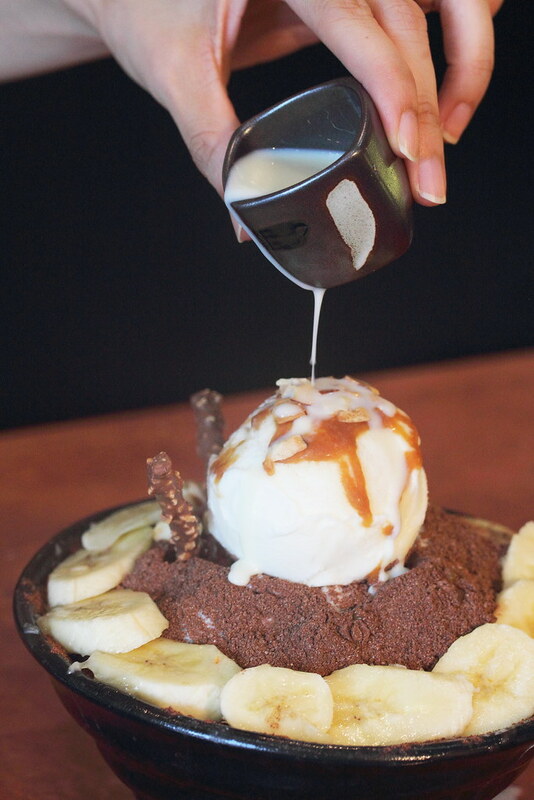 After trying the bingsu from Nunsongyee Korean Dessert Cafe, I have to admit I do enjoy it. 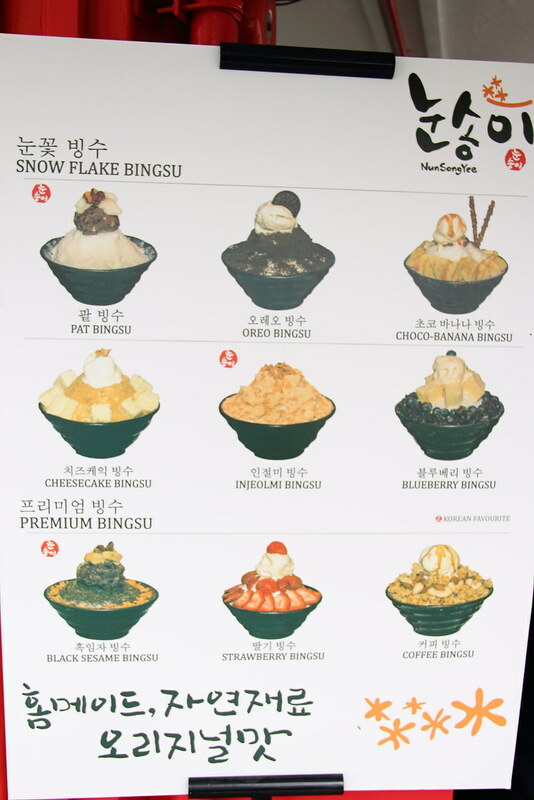 Besides the fresh ingredients, the shaved ice plays an important part of a good bingsu. At Nunsongyee, the ice is light, soft almost snowflake like texture. 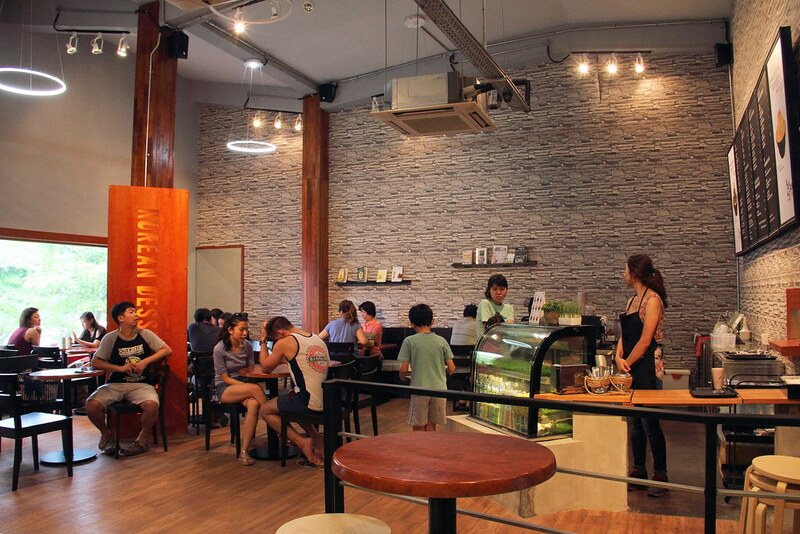 the number of bingsu shops opening is scary. I ordered the Cheesecake Bingsu, and it was a total let down. It was like buying condense milk, pouring it over ice and eating it was digestive biscuit crumbs and cheese. Which I can get and do for less than $10. while i agreed that it is expensive but i doubt you are able to achieve the snow flake texture of the shave ice with the infused milk. Agreed it is expensive. But interestingly there are still people paying for it.